Hey guys! When the Vancouver Canucks are hot (4 wins to start the season! ), you can hear the wheels of the bandwagon begin to churn. 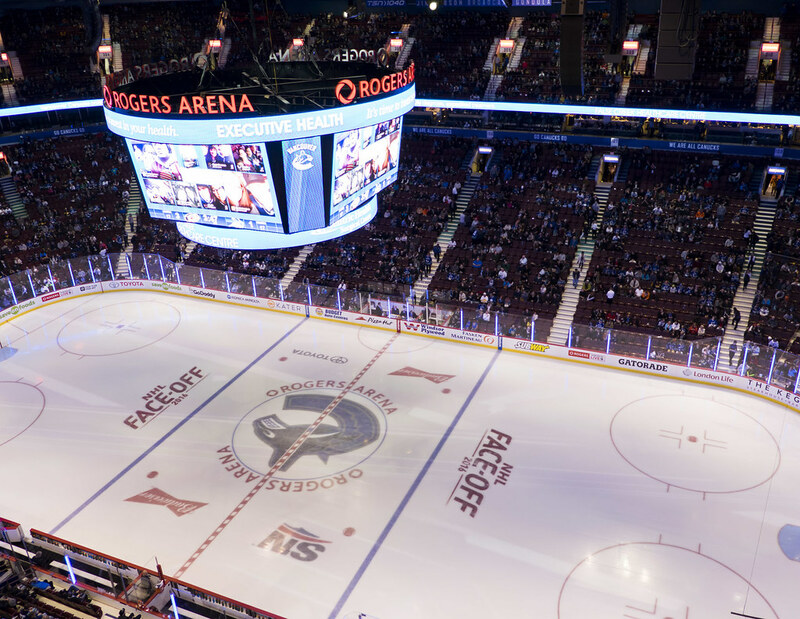 While most fans are aware of regular seating in the upper and lower bowls of Rogers Arena, there’s a whole new experience on the highest level. 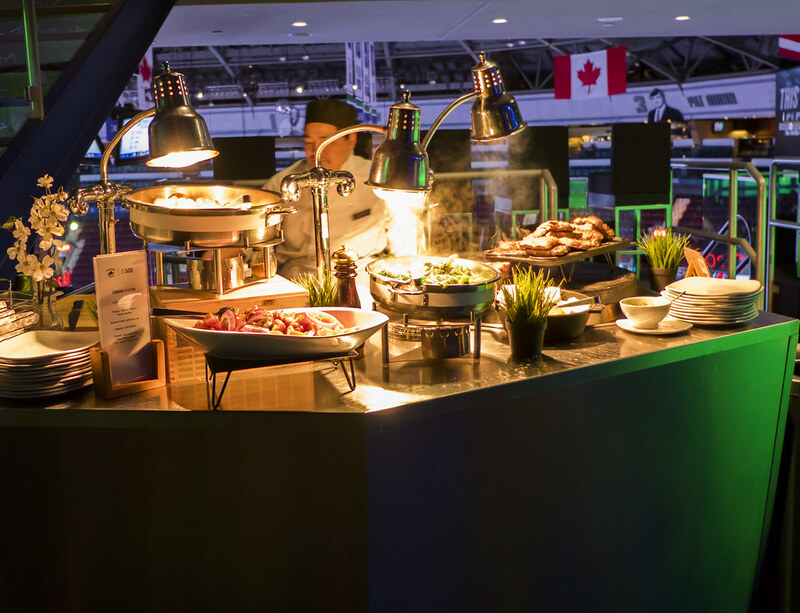 Club 500, residing on the 500 level of the arena, offers an unlimited buffet, bar service, and comfier seats in an immersive game atmosphere. 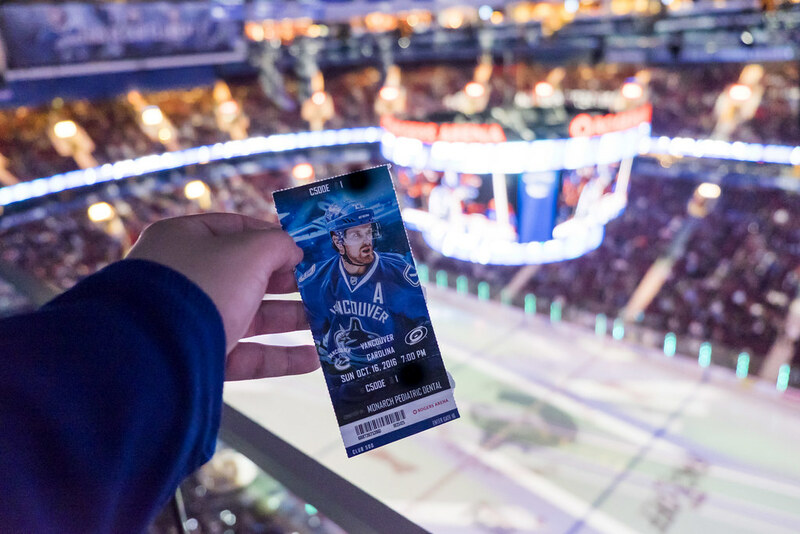 Does the glitz and glam translate to a premium time or is there a discrepancy between the price of used tickets to your hockey night in Vancouver? Read on to find out. 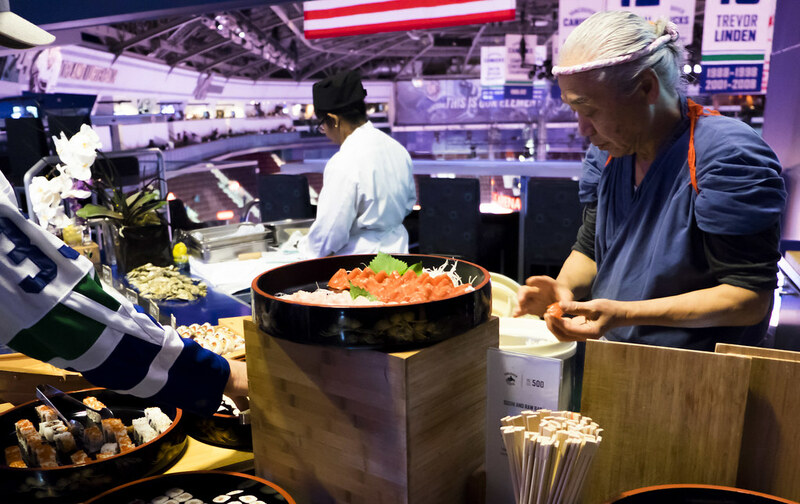 The seafood station offers a variety of fresh sushi, oysters (including my favourite, Kusshi), and starter breads. I had the luxury of attending as a +1 and made sure I tried a little bit of everything. While I don’t think anything blew my mind taste-wise, I highly valued the unlimited oysters. There probably isn’t any other place in the city that serves unlimited oysters, and even at buck-a-shuck you have to go at weird hours. There are a variety of oysters depending on the season so you won’t be restricted to regular types like Fanny Bay Oysters. For that reason, I believe Club 500 seats benefit oyster lovers the most. The chimichurri steak deserves special mention as it’s cooked on-demand and you get to specify your style of cooking. Medium-rare is the standard for me and the staff member here delivered medium-rare despite a long and potentially stressful line of hungry guests behind me. The dessert station has the biggest variety of goods so and it looked like the deconstructed tiramisu was the most popular option. For lactose-sensitive people like me, there are options that are lighter on the lactose in the raspberry crumble and coconut meltaways. The bar serves free soda but if you’re looking to get loose, you’ll be paying for your liquor. A small tax though on what is otherwise a terrific arena buffet. 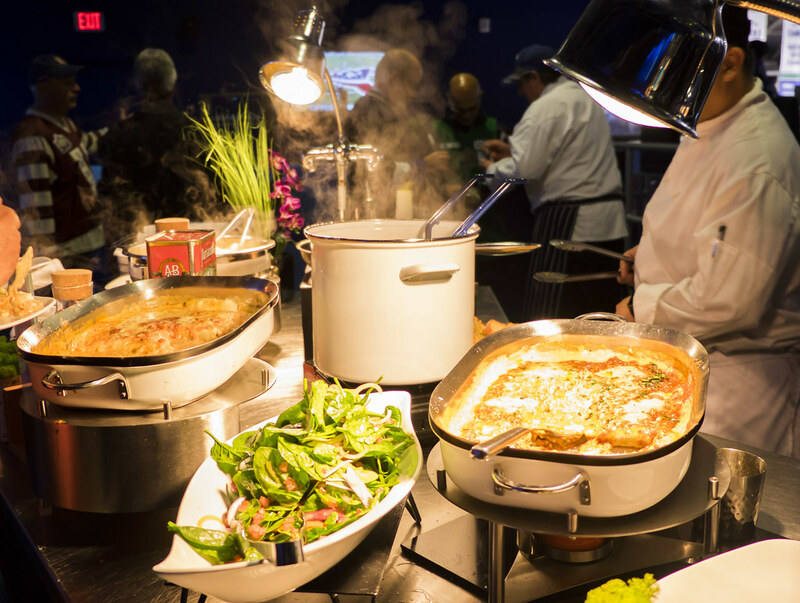 The buffet runs throughout the game until the end of the second intermission so you can grab food at any time. 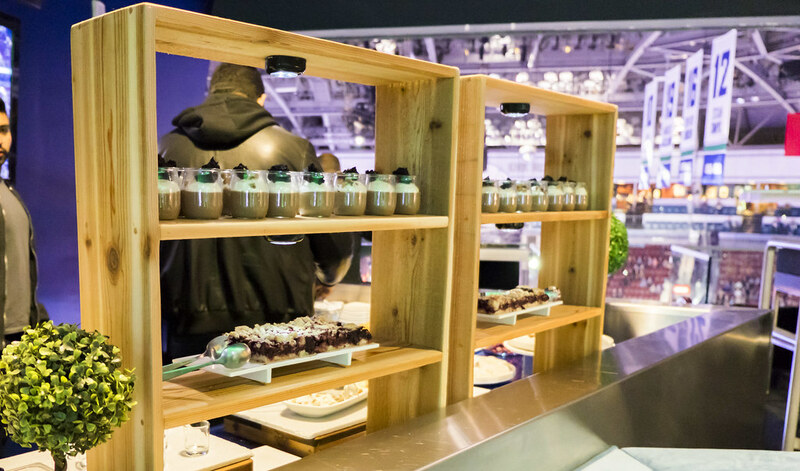 The space serves food at least an hour before puck drop and there are a number of seats arranged along the wall and on elevated platforms facing the ice. With your Club 500 ticket, you also have a box-like seat, potentially with a small side table to hold your dirty plates. The view is obviously farther than being in the lower-bowl, but since the club seats hang over the upper-bowl, it’s a better view than the mid-to-back of the upper-bowl. There are a lot of Canuck colours that lead up and into the space which help set the mood. The staff all greeted us as we made our way in and made us feel welcome at every food station. At this time of writing, you can find tickets to Club 500 on Craigslist for $350-400 per pair of tickets for the lowest tier of games (we’re talking Carolina or Columbus). 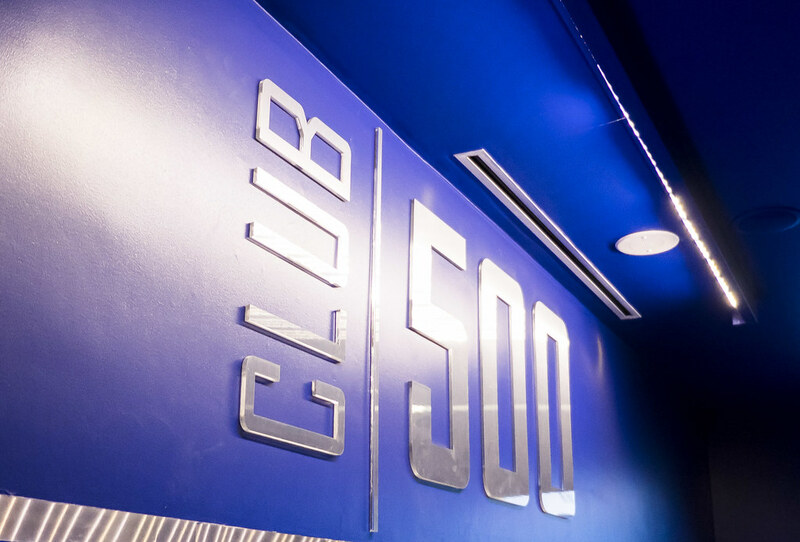 If you’re not into rowdy crowds, the Club 500 seats are great for watching plays develop. In my opinion, the acoustics are good enough that you can still hear the puck and slapshots on the ice (though not necessarily Henrik jabbering away in Swedish to Loui Eriksson). By the way, the Canucks came from 0-3 to win 4-3 in OT. Go Brandon Sutter! As an aside, I was a lucky +1 benefactor thanks to Dr. John Hung of Monarch Pediatric Dental Centre. Check them out if you know any children who would benefit from being more comfortable at the dentist!